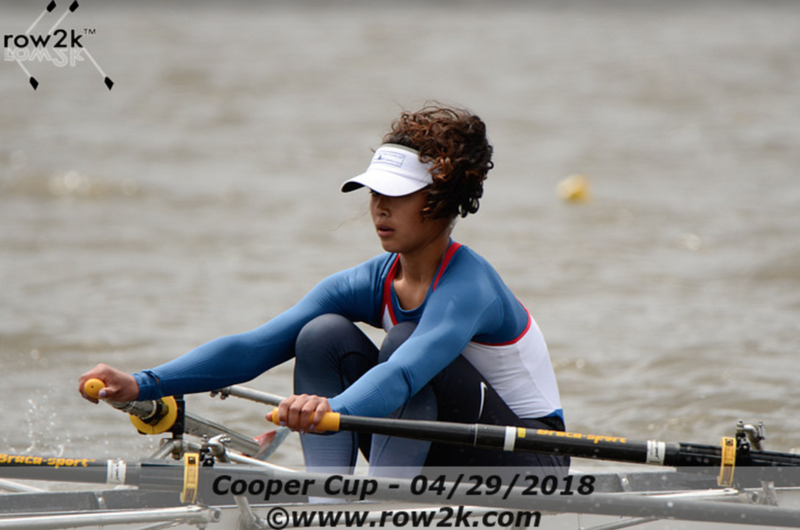 Pennsauken, New Jersey - Rockland youth rowers turned in a dominant performance on the Cooper River ranking second out of 50 in the efficiency standings for medals won by teams on Sunday at the Cooper Cup Regatta. Races were contested over 2,000 meters with heats and finals in the varsity events and flights only in the junior varsity and novice events. In the six-boat flight for the boy's junior varsity quadruple sculls stroke seat Billy Grippi Tappan Zee '20, Jake Bardorf (3) Clarkstown South '19, Anthony Feteira (2) Clarkstown South '19 and Kevin McCabe (bow) Northern Valley Demarest '20 won gold in 5:08.09 eclipsing second-place Three Rivers by less than a second (5:08.72). Third-place went to Germantown Friends (5:16.21). 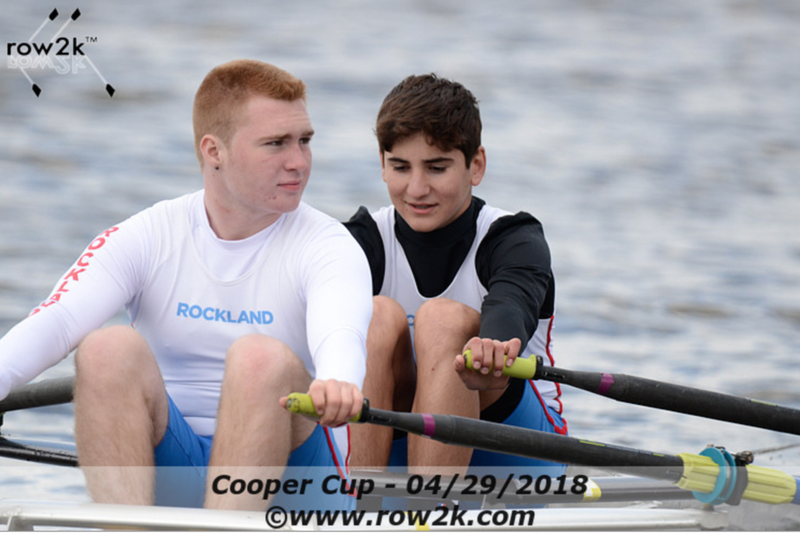 In the boy's varsity double sculls morning heat, stroke seat Anthony Rostek Tappan Zee '20 and bow seat Ryan Almond Clarkstown North '20 came in first place to advance to the afternoon grand final. In the six-boat final they finished in third with a time of 5:14.25 behind second-place Baltimore 5:12.30 and first-place Malvern Prep (5:07.66). The girl's varsity lightweight eight took silver in the straight final, coxed by Shoshana Ronen IHA '20, stroke seat Gabriele Welp IHA '19, Caroline High (7) home school '22, Lucy Jackson (6) Nyack '18, Georgia Young (5) Ridgewood '21, Olivia De Maria (4) Northern Highlands '20, Lucinda Carroll (3) Nyack '19, Leyla Arcasoy (2) IHA '20 and Michaela Davidson (bow) Clarkstown North '19. The crew posted a time of 6:07.2 behind Lower Merion (5:45.16) and ahead of third-place Syosset (6:11.43) and fourth-place Horace Mann (6:55.93). 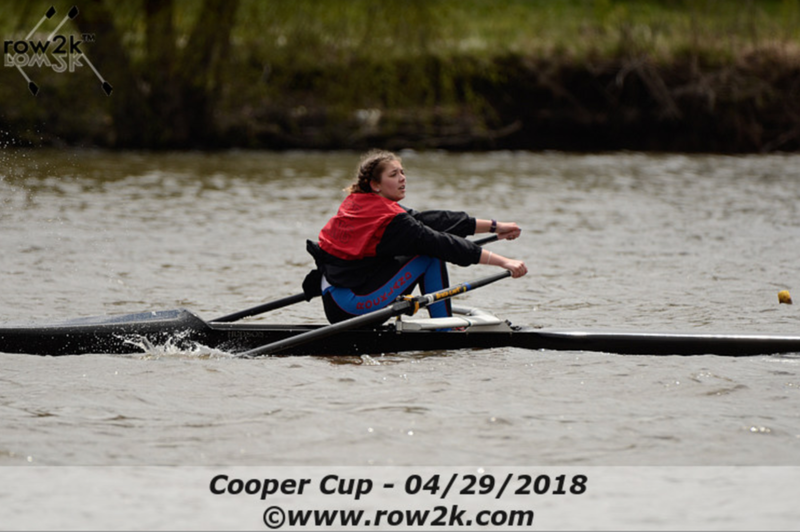 In the girl's varsity single sculls Chloe Young Ridgewood '18 finished first and Welp finished third in their respective morning heats. In the afternoon grand final, Young captured bronze with a time of 6:28.94 closely behind second-place Three Rivers (6:26.52) and first-place Nereid (6:26.31) and ahead of fourth-place Ellis (6:29.53), teammate and fifth-place Welp (6:33.35) and six-place South Jersey (6:46.17). Rockland's boys are coached by Veli Etropolski and Melissa Boyd coaches the girls team. Next up, Rockland will compete at the Long Island Rowing Championships on Sunday, May 6 on Oyster Bay in New York.